A team of Bulgarian archaeologists has resumed the rescue excavations of the unique Early Neolithic settlement near the southwestern town of Mursalevo, Kocherinovo Municipality, which they discovered in April-May 2015 as they were carrying out rescue digs along the route of the Struma Highway. In the first days of April 2015, members of Nikolov’s team inspected the site of the prehistoric settlement in preparation for the renewed excavations, reports the Bulgarian daily Presa. Now the Bulgarian archaeologists researching the prehistoric settlement near Mursalevo will have until the end of June 2015 to complete their excavations. The 8,000-year-old settlement near Bulgaria’s Mursalevo consists of three parallel major streets, including one main street, and several smaller streets that are perpendicular to them which form sections with 3-4 homes each. The Bulgarian archaeologists have been impressed with the perfect alignment and “urban" planning of what they have described as a prehistoric city. 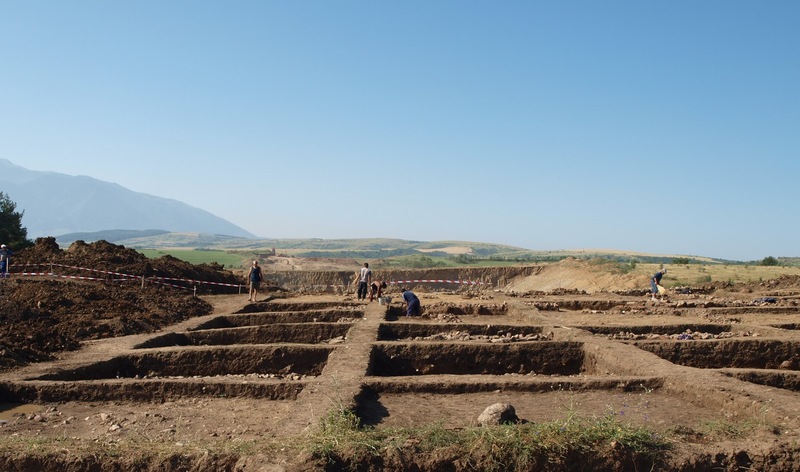 The archaeologists have also discovered that the site of the prehistoric city was deemed sacred by the Ancient Thracians who between the 5th and the 1st century BC dug up dozens of pits there in which they conducted rituals and sacrifices. There have been calls for changing the route of the Struma Highway right now it is planned to pass right through the middle of the Early Neolithic settlement but so far the Bulgarian government has not indicated that this might be possible as the constraints range from the rough and mountainous terrain in the Kresna Gorge to the strict EU rules as the highway construction is financed with EU funding. This being an ancient and sacred site it should be preserved for future generations to see. No modern highway is as important as preserving the past! Build your highway somewhere else!!! What a shame!! !